Friday, Mar 20 @ Mt. Hood Skibowl, OR: 4 cans of food gets you a FREE lift ticket. Just 4 cans to help out a local charity. Saturday, Mar 21 @ Sugar Bowl, CA: Keep going with the giving spirit. $25 tickets to help out local schools. Sat & Sun, Mar 21-22 @ Bromley, VT: Spring is in the air. Go celebrate at Bromley’s Spring Fling Weekend. $39 tickets on either day. Sat & Sun, Mar 21-22 @ Ski Brule, MI: Here’s aother party for all you Midwest Snow Junkies. Tickets are half price all weekend – and there’s a mattress race, which sounds awesome. Sat & Sun, Mar 21-22 @ Killington, VT: There are still some 50th birthday ticket deals online. Two day tickets for $100. Saturday, Mar 21 @ Cranmore, NH: More kickbacks for going green. Drivers of hybrids get a FREE ticket. Sunday, Mar 22 @ Shawnee Mountain, PA: Time to dust off the gorilla suit. Everyone in costume gets a FREE ticket at the 26th Annual Costume Carnival Day. 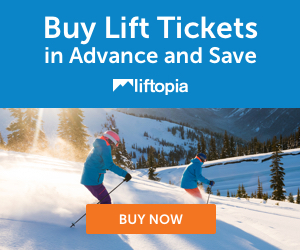 Monday, Mar 23 @ Jiminy Peak MA: Check out this e-coupon which gets you a $6 lift ticket.